WASHINGTON -- The Senate passed the National Defense Authorization Act, 85 yeas to 10 nays (NDAA) Monday, and in the legislation included language that would ban Chinese telecom giant ZTE from conducting business in the United States. 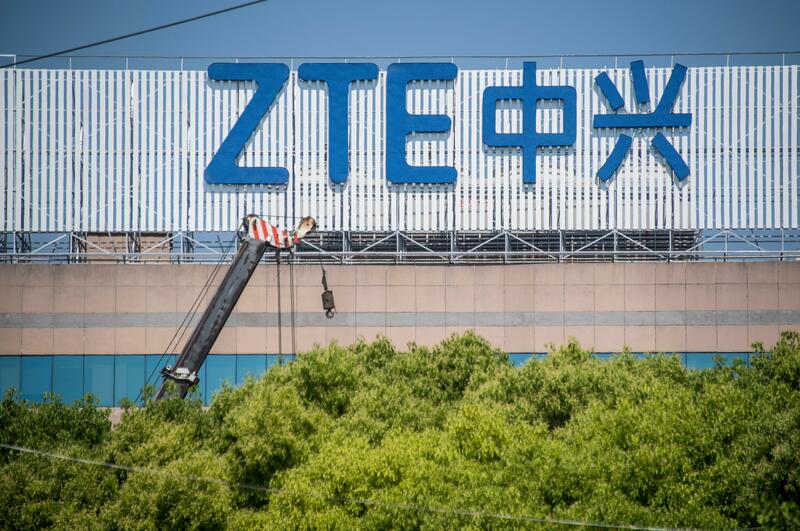 The Senate measure reverses an agreement by the Trump administration to allow ZTE to resume buying component parts from U.S. companies. The Chinese company is accused of violating trade laws by selling sensitive technologies to North Korea and Iran. The Trump administration announced a deal with ZTE earlier this month, but Senate leaders have sought to reverse it by tucking a provision into the must-pass defense package. The House passed its version of the NDAA late last month, and its version did not include the ZTE provision. The Senate and House will have to work out the differences in their two bills and reach compromise language before passing a final version of the bill. The Trump administration hopes to revise the ZTE language in House-Senate negotiations on the defense bill. The defense policy bill also includes a pay raise for the military. The $717 billion measure would give troops a 2.6 percent pay hike -- the largest in nine years -- and address shortfalls in military readiness such as pilot training, maintenance of equipment and procurement of new weapons systems. Sen. John Cornyn of Texas, the Senate's No. 2 Republican, said passage of the annual defense authorization bill "is how we make sure that all of the men and women in uniform are paid, that our alliances are strengthened and that military facilities are properly modernized and maintained." The Commerce Department barred ZTE in April from importing American components for seven years after concluding that the company deceived U.S. regulators after settling charges last year of sanctions violations. Instead of disciplining all employees involved, ZTE had paid some of them full bonuses and then lied about it, Commerce said. The decision amounted to a death sentence for ZTE, which relies on U.S. parts. The company quickly announced that it was halting operations. The ban also hurt American companies that supply ZTE. Sen. Mark Warner slams ZTE deal as "a horrible decision"
But earlier this month, the U.S. and China reached a deal that allows ZTE to stay in business in exchange for paying an additional $1 billion in fines and agreeing to let U.S. regulators monitor its operations. The fine comes on top of $892 million ZTE has already paid for breaking U.S. sanctions by selling equipment to North Korea and Iran. Lawmakers from both parties have criticized the deal. Sen. Marco Rubio, R-Fla., tweeted that ZTE "is a much greater national security threat than steel from Argentina or Europe," a reference to tariffs imposed by the Trump administration. "President Trump was flat-out wrong when he decided to go easy on ZTE and allow it to start selling its technology in the United States," said Senate Democratic leader Chuck Schumer of New York. "ZTE has violated U.S. sanctions, lied about it, but even more importantly, its technology has been deemed a national security threat by the FCC, the FBI and the Pentagon," Schumer said. Trump plans to host Republican members of Congress Wednesday to discuss a path forward on ZTE and other issues. Cornyn and other GOP senators, including Lindsey Graham of South Carolina, are expected to attend. Sen. Dianne Feinstein, D-Calif., blasted the Senate bill, saying Congress should not cede its authority over nuclear weapons to Trump and future presidents. "Unfortunately, that's exactly what this bill would do by removing congressional oversight for building future nuclear weapons," Feinstein said.